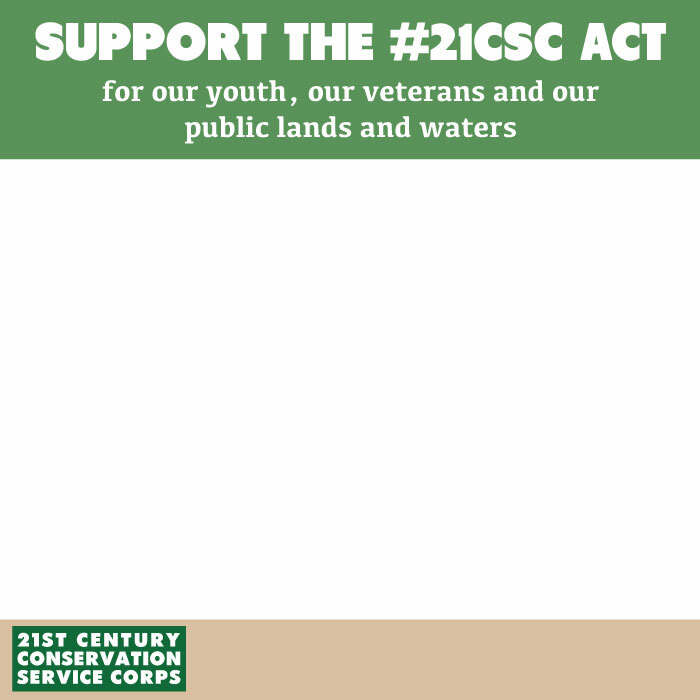 The bipartisan 21CSC Act was introduced in the United States Senate (S.1403) and House of Representatives (H.R.2987) in June 2017. The bill was introduced in the Senate by Sen. John McCain (R-AZ), Sen. Michael Bennet (D-CO), Sen. Lamar Alexander (R-TN), and Sen. Tom Udall (D-NM). 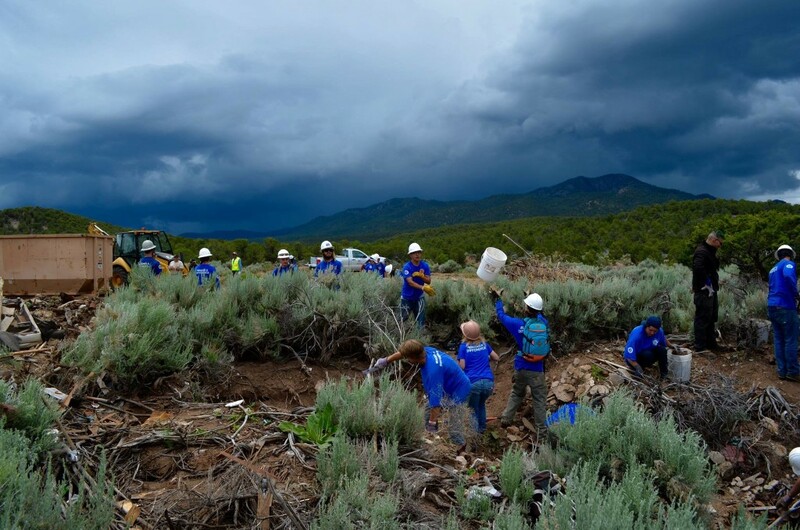 It was introduced in the House by Rep. Martha McSally (R-AZ), Rep. Seth Moulton (D-MA), Rep. Scott Tipton (R-CO), and Rep. Raúl Grijalva (D-AZ). 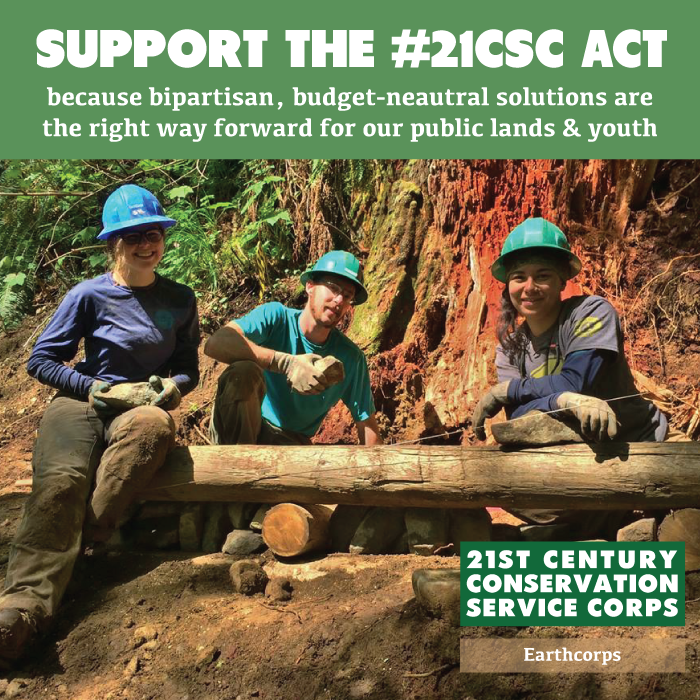 This bill is a merger of previously introduced versions of the 21CSC Act (S.1993 – introduced August 2015, and H.R.5114 – introduced April 2016) and the Public Lands Service Corps Act (S.1160 and H.R.2167 – both introduced in April 2015). 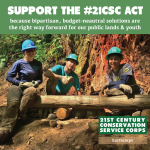 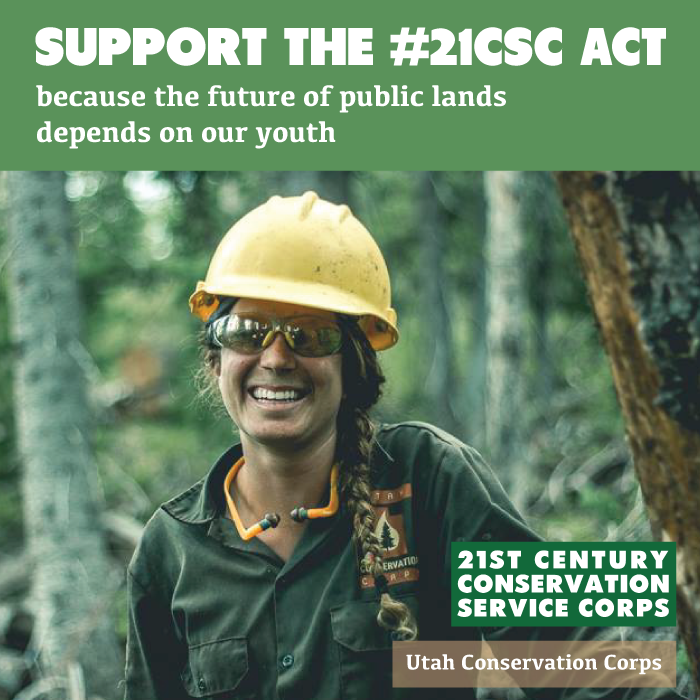 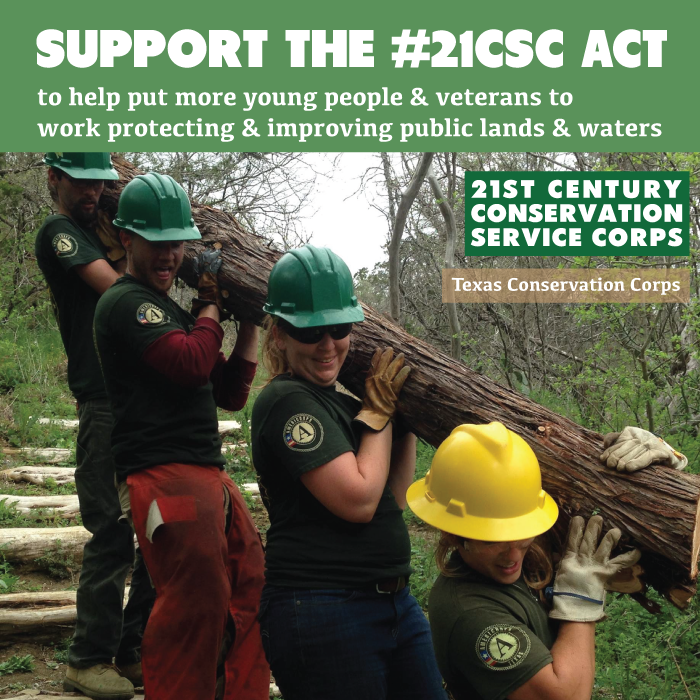 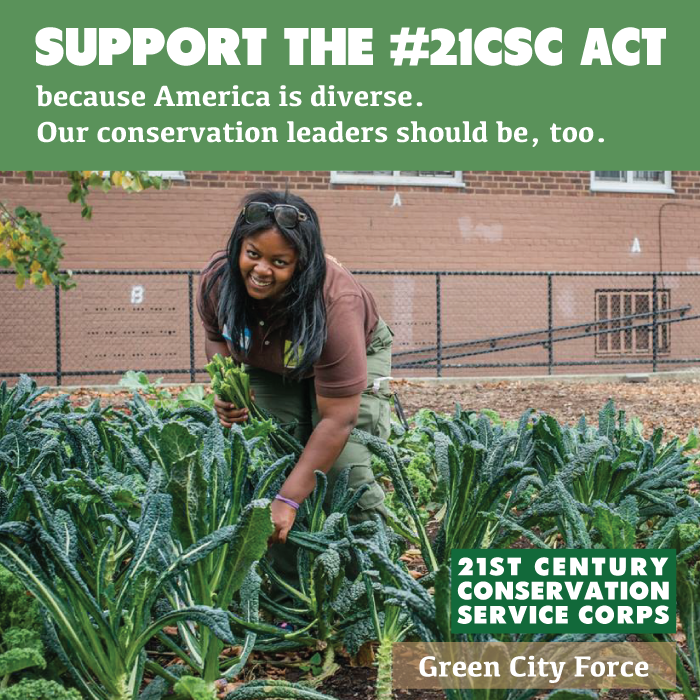 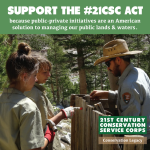 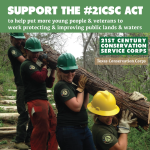 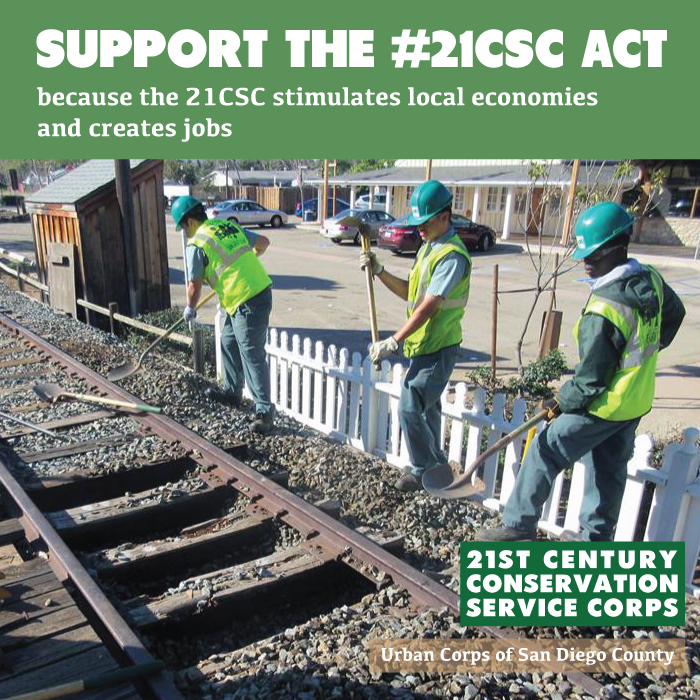 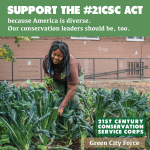 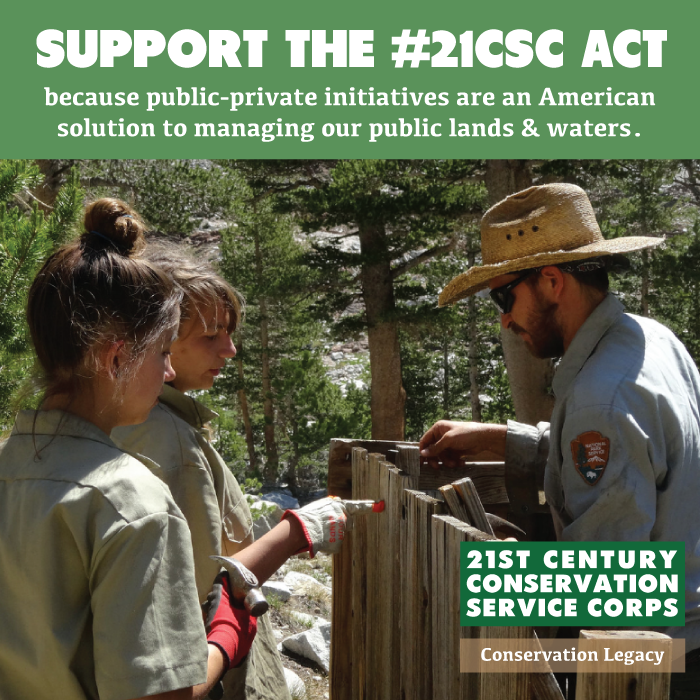 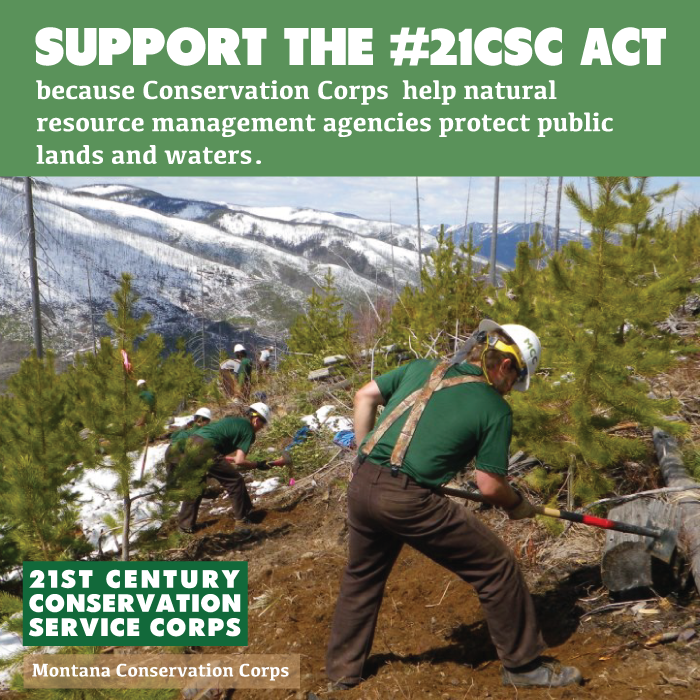 This new 21CSC Act represents a bipartisan effort among sponsors and cosponsors of both the 21CSC and Public Lands Service Corps bills to work together for the advancement of Corps as a public-private strategy to meet the needs of America’s resource management agencies and provide work opportunities for young adults and veterans. 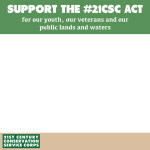 Establishes new coordinators at participating agencies to ensure the efficient functioning of the 21CSC. 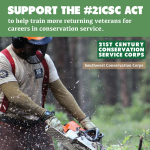 Prioritize the engagement of recent veterans, native, and disadvantaged youth in 21CSC programs, and establishes a new Indian Youth Corps program. 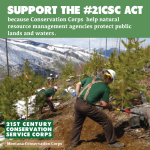 There’s a lot you can do to help move the 21CSC Act! 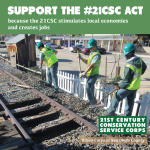 We need your help to get the word out about the 21CSC Act and urge your US House & Senate Members to get this cost-saving, bipartisan bill passed!